Bismarck Bracelets are made from designs that consist of thin rows of small, oval, interlinking rings. These run parallel to one each other and either connects to multiple identical rows. For wider bracelets there is a combination of man rows while just one linked row makes a thin bracelet. These bracelets come in various sizes, widths, patterns and budgets. Any look is incomplete without a bracelet in the hand. These bracelets give you an elegant and complete look for all occasions. Bismarck Bracelets are ideal choices for gifts for both men and women. They can be ordered to make or bought ready from jewelry stores. Bismarck Bracelets come in various shapes, styles and patterns. They are like the shape of a chain and come with closures. They are made for both men and women. Wide patterns are more suited for women while the women can choose from the sleeker and thinner designs. They can be of silver, gold or platinum. Bismarck Bracelets are worn as single pieces. Bismarck Bracelets come in various styles like they may have studded diamonds or stones on them. These designs can be modern or traditional depending on the choice of the buyer. Bismarck Bracelets are worn slightly loose on the hand and they come down to the wrist. You can wear only a gold bracelet or a silver one. A combination of both gold and silver is very popular these days. The Bismarck Bracelets come in various budgets also. You can opt for gold and diamonds one if you are choosing for formal occasions. Silver is the best option for the limited budget buyers. Gold combined with silver works the best for the slightly formal dressing and can be worn for regular use. If you are opting for a higher budget then opt for white or yellow gold or a combination of both. Bismarck Bracelets are ideal gifts for men as there are very limited choices for men when it comes to gold and silver. Apart from the most popular watches and the cuffs, bracelets are a good choice for a gift item for men. It can be your sweetheart, father, brother or even a friend you can gift this too. The Bismarck Bracelet is an elegant and decent choice for a gift for men. For women these bracelets are good for semi-formal or casual occasions. These bracelets can be worn with more formal earrings or necklaces to give it a more formal look. 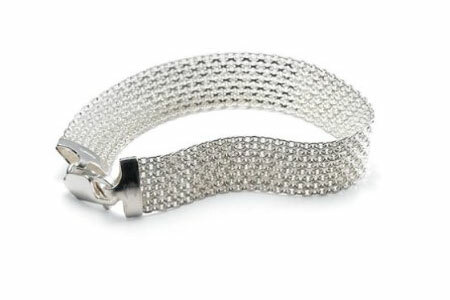 Very thick or wide designs do not look very appealing for women in these kinds of bracelets. Bismarck Bracelets are available online and at regular jewelry stores. Before buying these kinds of bracelets it’s best to try it on your hand. Only then the perfect fit for the bracelet will be clear to you. You can also measure your wrist measurement with an inch tape if you want to buy it online and then order your bracelet. 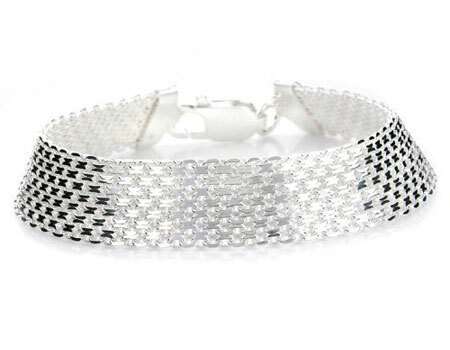 Diamonds look good in both men and women designs in these kinds of bracelets. They give a very classic appeal when worn by both men and women. Available in classic and modern designs these bracelets can also be worn to office. For men it completes the formal look when combined with a pair of cufflinks. It reflects the confident personality of the man wearing it and adds class to his regular formal outfits. I think Bismarck bracelets are very elegant! They look simple enough to be worn with casual wear but when stacked together, they become an elegant piece of jewelry that can worn during formal occasions. This is a great bracelet. It reminds us of the woven type of jewelry that can be seen in some parts of Asia. The possibilities are endless since the same design can be suitable for a waist belt too. There was one jeweler who produced rings with a similar design concept, had seen such rings in Tokyo.